We are delighted you are considering transferring to CU Boulder, College of Media, Communication and Information. We would love to meet with you and talk about CMCI. 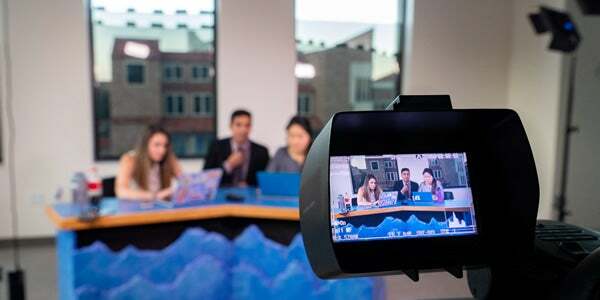 The College of Media, Communication and Information offers a number of automatic consideration merit scholarships for freshmen and over 25 scholarships for continuing students that require an application. Prospective freshmen are automatically considered for CMCI Merit Scholarships based on the strength of their admissions application. Awards are made in conjunction with the CU Boulder Esteemed Scholars Program as well as the Presidential Scholarship. CMCI believes academic programs are only excellent when everyone has a real chance to succeed. We strive to be a supportive learning community where diversity, equity and inclusion genuinely thrive. CMCI CommRAP is a living-learning community housed in Buckingham Hall. 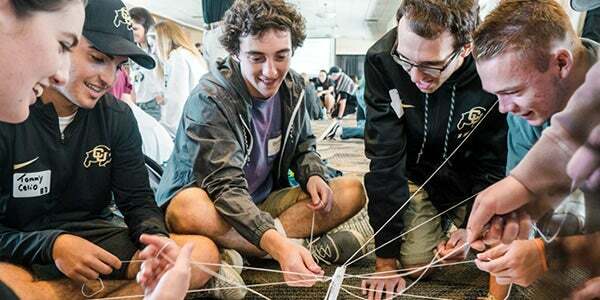 Residential Academic Programs (RAPs), like CMCI’s CommRAP, are one way that the University of Colorado Boulder provides first-year students with the support and individualized attention found in a smaller college atmosphere. CMCI has four student media outlets—the CU Independent; CU Science Update; Buff Sports Live; Radio 1190—and two hands-on media courses—CU News Corps and NewsTeam. They are a great way to gain experience, boost internship chances and build work samples for future employers. Venture outside the classroom for new and different learning experiences. CMCI's student clubs and honors societies are a great way to network, develop leadership skills and create a sense of community on campus.